Never compromise at any distance. Extremely Low Drag-Expanding bullets are a technologically advanced, match accurate, ALL-RANGE hunting bullet featuring highest-in-class ballistic coefficients and consistent, controlled expansion at ALL practical hunting distances. Precision Hunter Ammunition is loaded with ELD-X® bullets. Accuracy and consistency is the foundation of Hornady Precision Hunter factory loaded ammunition. Great care has been given by Hornady engineers to develop superior match accurate hunting loads that allow the ELD-X® bullet to achieve its maximum ballistic potential. Extremely Low Drag - Match bullets are technologically advanced, enhanced accuracy target bullets featuring Heat Shield tips with the PERFECT MEPLAT (tip point) combined with numerous design features that deliver the highest-in-class ballistic coefficients, superior accuracy and extreme consistency from bullet-to-bullet, lot-to-lot. Top Performing Hornady Match ammunition is loaded with ELD® Match Bullets which are the most accurate, consistent match bullets in the world. In 2012, Hornady engineers were tasked with creating a new bullet. The main goal was to have a hunting bullet that worked well at all practical distances. Plenty of bullets work well from 0-400 yards, few work well beyond that and none work well at both conventional and extended range. While "extended range" means different things to different people, and taking game at longer distances is a debated topic, there's a growing segment of hunters who are using technological advances in electronics, optics, rifles and ammunition to extend their range. What's been lacking has been projectiles that offer the accuracy AND terminal performance appropriate for extended range hunting. A common trend has been to use match bullets at extended range because they have thinner copper-jackets that are perceived to expand easier at distance when the bullet has shed a lot of velocity. Creating a bullet that performs well at extended range would have been relatively easy. In true Hornady fashion, there was no interest in doing what was easy. The decision was to make an "all range" bullet that performs at both conventional (0-400 yards) and extended (400+) range. Match accurate: The bullet had to have the accuracy and consistency of a match bullet. This means a balanced bullet that has a precision swaged lead core and a jacket with the utmost concentricity. High Ballistic Coefficients: The more aerodynamic the bullet, the more velocity and energy it carries down range. It also will suffer less wind drift and drop than a bullet of lesser aerodynamic design. Performance and expansion across the full velocity spectrum: This bullet had to have controlled expansion at both conventional and extended range. Simply having a bullet that will tumble, yaw, blow up or pencil through is not acceptable. The bullet had to expand/mushroom at extended range (low velocity) and not over-expand or blow up at conventional (high velocity) range. Initial bullet concepts were designed, produced, tested and improved on. The engineers eventually developed what they thought was a finished product. The bullet exhibited the kind of expansion characteristics they were looking for and the time came to do more advanced ballistic testing. The common trend in the bullet industry is to analyze a bullet's ballistic properties and measure ballistic coefficients (BC) using a series of chronographs or acoustic devices to capture a bullet's speed at multiple known distances. Typically, this is done over a few hundred yards in a stable environment. To improve the analysis of the aerodynamic traits of the new bullet, Hornady invested in their own Doppler radar. Instead of simply seeing the speed of a bullet at two to five points throughout its flight path, a Doppler radar gives a reading on the bullet every one to two feet throughout the entire flight path of the bullet. Quite a lot of information can be gathered on a bullet's profile by seeing its exact velocity at any distance and seeing how fast it is slowing down. While analyzing the radar data on the new bullet, Hornady engineers noticed something right away that was puzzling. 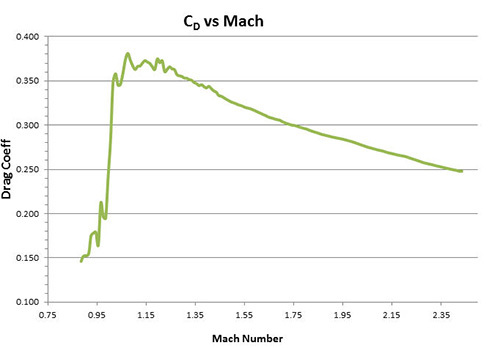 In Drag Coefficient versus Mach (Cd vs Mach) graphs, they saw that the new projectile was gaining drag shortly after leaving the barrel, which affected the performance of that bullet for the rest of its flight path. Simply put, the bullet acted like it had one particular BC for the first 100 to 150 yards, then transitioned to a lower BC for the rest of its flight path. 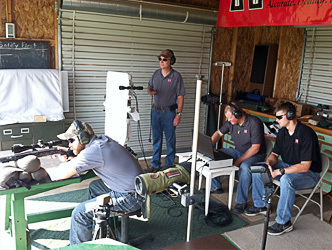 Further testing was done with other bullets including BTHP match and A-MAX® bullets. While the BTHP bullets Cd vs Mach charts looked as expected, the A-MAX® bullets were showing the same increase in drag that the prototype hunting bullet did. It was as if the bullet was changing shape in flight. Further testing was done to confirm suspicions that the polymer tip was the culprit. Aerodynamically efficient, high BC bullets at high velocity were suffering from polymer tips softening and deforming in flight. Further testing proved that it happens to all conventional polymer tipped bullets, regardless of manufacturer. Tipped varmint bullets and conventional low to medium BC (sub .550 G1) bullets are not significantly affected. They simply do not hold a high velocity long enough for the aerodynamic heating to significantly affect their tip. The charts above show the overlying issue of current polymer tips deforming in flight. 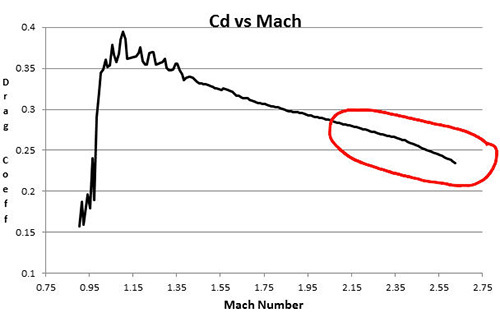 The chart on top is what a normal Cd vs Mach diagram should look like. Read from right (starting when the bullet leaves the muzzle) to left (end of bullet flight) the chart depicts the bullet drag versus its speed. As the bullet slows down, the drag goes up. The increase in drag is typically show and the line is slightly concave. The chart on the bottom shows a rapid increase in drag (circled area) shortly after the bullet leaves the muzzle. To correct the issue of tips deforming from aerodynamic heating, Hornady engineers identified and developed tips from a new class of polymer. These new, patent pending Heat Shield tips provide a consistent BC throughout the bullets entire flight path. This is due to Heat Shield material's greater heat capacity and also having a melting point roughly 2.5 times greater than currently used tips. 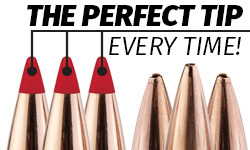 The Hornady 6.5mm 140 gr A-MAX® is a very popular match bullet. Its long-time published G1 BC of .585 has been measured with chronographs at the muzzle, 100 and 200 yards. The radar verifies that exact BC out to 200 yards. When fired at 800 yards; however, the radar-verified average BC it is actually .545. This is because of the polymer tip melting and deforming during flight. When the traditional tip is replaced with a Heat Shield® tip, the radar-verified 800 yard average BC becomes .610 – a huge improvement! Why a .610 when we already established a 200 yard BC of .585? The .610 BC shows that the traditional tip was already exhibiting degradation at 200 yards. As mentioned, moderate and low BC tipped bullets (less than .550 G1) are not significantly affected. Case in point: a 22 caliber 50 gr V-MAX® with a conventional polymer tip, fired at 3,700 fps, has a 400 yard radar-verified average BC of .232. With a Heat Shield® tip, it still had a BC of .232. Similarly, a 7mm 162 gr SST® has a 500 yard radar-verified average BC of .520. When tested with a Heat Shield® tip, it only gained a small amount of BC - .532. The .012 increase in BC is too small to matter on this bullet at any distance this bullet would expand on game. Why bother with a tip at all? As mentioned earlier, we required that the new bullet have a tip. There are multiple reasons for this. Without a polymer tip (or an exposed lead tip, which is not as aerodynamically efficient), there is no mechanism for expansion. Upon impact, the tip is slammed back into the frontal cavity and forces expansion. Without a mechanism for expansion (tip), the target dictates what the bullet does. High BC, BTHP (Boat Tail Hollow Point) bullets have no mechanism for expansion. Their terminal affects are predictably unpredictable. They typically penetrate without expanding until they hit something hard enough to make them tumble or blow up. Sometimes, they pencil through until the bullet slows down enough to destabilize and start to tumble. Other times they simply pencil through without ever tumbling. Open tip match style (OTM, also known as BTHP) bullets are not designed for controlled expansion. The bullets simply have a hollow cavity where the lead core stops and the jacket material continues to be drawn together above it to form the tip. To get a hollow point to actually initiate expansion, the open cavity needs to be large, too large to facilitate a high BC. For hunting, hollow points do have their place though, in pistol bullets and low BC conventional rifle bullets where the meplat (diameter of the tip) is big enough to promote expansion. It is not simply having a polymer tip that promotes expansion. We can control exactly how fast or slow a bullet expands with the tip size, cavity size and shape below the tip stem and the relationship of the transition from jacket material to the outside edge of the tip. A BTHP offers no "fine-tuning" for expansion. It is totally dependent on what the target media makes it do. The other advantage of the tip is the consistent shape and optimized geometry of the molded polymer tip. With a polymer tip, the meplat (diameter of the tip of a bullet) is the same from bullet to bullet, and lot to lot. A molded polymer tip shape is the same every time. The meplat of a BTHP, however, is inconsistent. Drawing the jacket material up to a perfect and consistently shaped tip every time is virtually impossible. Some match shooters use a meplat trimmer to even out the rim of BTHP meplats for consistency. This trimming perfects the shape of the tip but removes mass from the bullet. The process currently used by all manufacturers to create BTHP bullets leads to inconsistent meplats (tips). The Heat Shield® is always the same, bullet-to-bullet and lot-to-lot. The all-range hunting bullet is called ELD-X®, which stands for Extremely Low Drag – eXpanding. 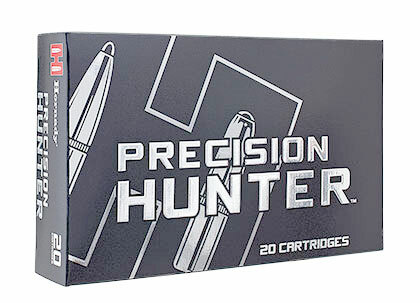 They were designed from the ground up to be match accurate, all-range hunting bullets with best-in-class aerodynamics. ELD-X® bullets have a precision swaged lead core. The bullet jackets utilize AMP® (Advanced Manufacturing Process) technology for near-perfect concentricity. The jacket material is quite thick at the bullet shank and thins down along the ogive (curved area from the bearing surface up to the tip) to assist in expansion. A high Interlock ring helps to keep the jacket and core together during penetration. While this bullet is unique, it draws on some of the best features and technology of its predecessors like Critical Duty®, LeverEvolution® and established match bullets. Why a traditional lead core and not solid-copper or bonded lead? While both of those styles have their place in hunting, both have significant limitations in an all-range hunting bullet. Solid copper or copper-alloy bullets are tough and give great penetration and high weight retention at conventional range. Without a lead core though, they are relatively light and don't have the BC to carry significant energy at extended range. Without enough velocity, the material is too tough to expand at low velocities. While a mono-metal bullet can be specifically made to expand at a lower velocity, it lacks the flexibility to perform well across a wide range of velocities. Bonding a bullet's lead core and jacket together can be useful for hunting bullets at conventional ranges, but there are some drawbacks. Bonding requires a soft, pure-lead core and a thicker jacket. There are various bonding processes but the result is a soft bullet that is inconsistent in its long-range accuracy and terminal effects. Current bonding methods don't allow the kind of accuracy needed for extended range shooting. Case in point, there's a reason you don't see bonded match bullets. The ELD-X® bullet is very versatile in its terminal effects. It's also quite unorthodox since it is a bullet that works at both conventional and extended range. The bullet works differently upon high-velocity impacts versus low velocity, but, the terminal effects are quite similar. With high-velocity impacts (conventional range, 0-400 yards), the ELD-X® bullet starts expanding upon impact. It creates a very large, very deep temporary wound channel and typically 2 feet of overall penetration. The depth of the temporary cavity is a result of the bullet continuing to expand while penetrating. The expansion is more of a rolling back of the tough jacket, rather than a flattening out process that would stop penetration. The frontal area of the bullet sheds some mass during this rolling back and the thick shank continues to drive the bullet forward. Typical retained weight at close range impacts is 50-60%, this is by design. With low velocity (extended range, 400+ yards) impacts, the bullet looks and acts much more like a traditional hunting bullet does at close range. It expands immediately and forms a traditional mushroom shape while creating a large, deep temporary cavity and 2+ feet of overall penetration. Typical weight retention at extended range is 80-90%. The Hornady ELD-X® bullet is the most technologically advanced hunting bullet on the market. It is match accurate and delivers dramatic terminal performance at all practical ranges. With the highest BC's in its class, it retains its aerodynamic shape throughout its entire trajectory path with the Heat Shield tip. Offering match grade accuracy, it excels beyond a match bullet's (BTHP or tipped) ability to provide true controlled expansion and lethality at any practical range. The advent of the Heat Shield® tip has major ramifications in match bullets as well. 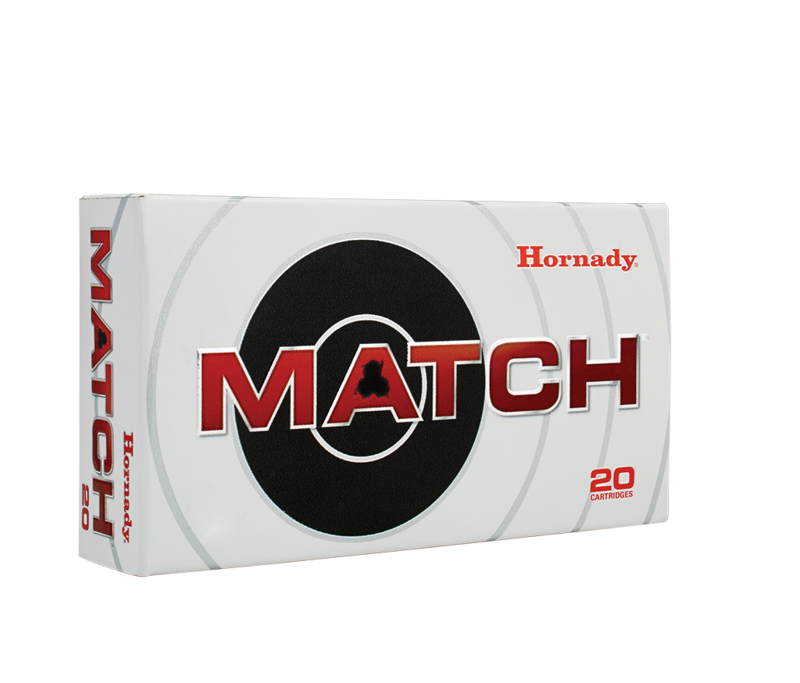 Hornady includes it in a new line of bullets called ELD® Match – Extremely Low Drag Match. A precision-swaged lead core. The swaging process provides extremely consistent uniformity. AMP® Jackets. AMP (Advanced Manufacturing Process) bullet jackets are a technological advancement in design, tooling and manufacturing that combine to produce the most consistently concentric bullet jackets available. Heat Shield® Tip. The Heat Shield® Tip is made of a patent pending heat resistant polymer that resists aerodynamic heating and provides a consistently high BC for the bullet's entire flight path. The Heat Shield® tip also gives the bullet a perfect meplat (tip) for bullet-to-bullet and lot-to-lot consistency. The secant ogive and boattail design combine with the Heat Shield tip to offer the best BC's in their class. With the most consistent meplat, most concentric jackets and extremely uniform lead cores, ELD® Match bullets raise the bar for match bullet accuracy. For decades, the industry standard that MOST, but not all manufacturers follow is correcting BC's back to standard atmospheric conditions. This is something that Hornady adheres to. If you measure a bullet on a hot day at sea level, versus a cold day at 3,800 foot elevation, you will get totally different numbers. By correcting them to standard atmospheric conditions, the customer will always be able to make apples-to-apples comparisons and have better success matching up their trajectories to a ballistic calculator. Standard atmospheric conditions are: Sea level, 59 degrees Fahrenheit, 29.59 in Hg, .07647 lb./cu ft. (density).